Apostolic Revelation: No One Can Forgive Sins Except God, How Then Can A Disciple Of Jesus? No One Can Forgive Sins Except God, How Then Can A Disciple Of Jesus? Does A Disciple Of Jesus Really Have The Power To Forgive The Sins Of People Or Retain It? Question: Can you help me? I don't understand this. John 20:23, "If you forgive anyone his sins, they are forgiven; if you do not forgive them, they are not forgiven". We have to forgive everyone so that Jesus will forgive us. So I don't understand what John 20:23 is! Thank you for your time and trouble!! Answer: Actually it is a verse that is in context is an apostolic commission that has come to all believers to spread the good news of forgiveness to all the world and through that cause people to receive God's forgiveness (Mark 16:15-16). After the resurrection of Jesus, he appeared to his disciples and gave them peace by showing His hands and side (John 20:19-20). From that time onwards they believed the risen Savior Jesus and therefore the disciples knew that Jesus is alive and cannot die again. "21 So Jesus said to them again, “Peace to you! As the Father has sent Me, I also send you.” 22 And when He had said this, He breathed on them, and said to them, “Receive the Holy Spirit. 23 If you forgive the sins of any, they are forgiven them; if you retain the sins of any, they are retained.” (John 20:21-23). 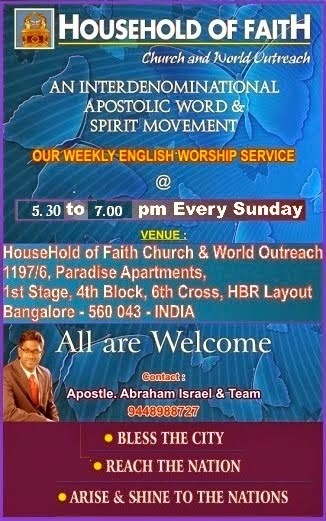 This is the place the disciples were born again in their lives and were sealed by the Holy Spirit of God (Eph 1:13-14). Once a person becomes born again, they have the kingdom rights to lead others in to the salvation of the Lord, by even praying and declaring by faith that a unbelievers sins are forgiven when they share and make them to confess Jesus as their Lord and Savior (Rom 10:8-10). When the disciples declare by faith that some one's sins are forgiven based on the promises of God, God surely hears and forgives the iniquity of the sinners and even the saints (Isa 62:6-7; Job 22:28). When a disciple asks God there is much power that is released on behalf of them, the greatest of all the power which God gives in response to a disciple's prayer is the power to forgive the sins of others through sharing the gospel of Jesus Christ (Matt 9:5-6; 1 John 5:16; James 5:14-15). This prayer of faith to forgive others was prayed by the man of God Stephen when he was stoned to death for speaking the truth of the word of God. God heard his prayer and saved a young man named Saul by forgiving his sin of consenting and being a part in the killing of his disciple Stephen (Acts 7:59-60; 22:4-5, 20). Retaining the sins of people happens only when a God sent apostle chooses to stop declaring the gospel of forgiveness because of a violent opposition from people to keep it from being declared (Luke 10:10--12). The place where a apostle retained the sins of people in this way was when the staunch Jewish people rejected the Gospel in the city of Corinth and started to oppose Paul and blaspheme, he said to them, 'May your blood be on your own head'. In other words, Paul was saying you have made your sins to get retained on your account because of your own unwillingness to receive the gospel of forgiveness (Acts 18:6). Another instances when the sins of people were retained was when Ananias and Sapphira lied to Apostle Peter which brought immediate physical death to them (Acts 5:3-5, 8-10). So all true disciples of Jesus have the power to forgive or retain the sins of other believers or unbelievers (1 Cor 5:3-5). This power to forgive sins publicly is something that can only operate with the gospel and not apart from it. But to forgive the sins of others who have done it against us is a private choice that can be done privately. Infact, we have to forgive everyone so that our Father God in heaven will forgive us. Our heart as a believer has the spiritual capacity as God's children to forgive others because we have the help of the Holy Spirit within us to overcome unforgiveness. 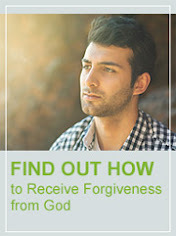 Therefore forgiveness is a prerequisite for all believers to maintain their good relationship and fellowship with God. We ought to forgive others if we expect God to forgive our daily sins (Matt 6:11-12, 14-15). Unforgiveness affects our personal relationship with God, but in no way makes us lose our salvation (Matt 6:9; 1 John 1:7, 9). What we did whether good or bad never gave us salvation, but what Christ did for us really saved us (Eph 2:8-9; Titus 3:5). In the same way, what we do cannot make us lose our salvation, but a really saved person will not willfully desire to live in unforgiveness.